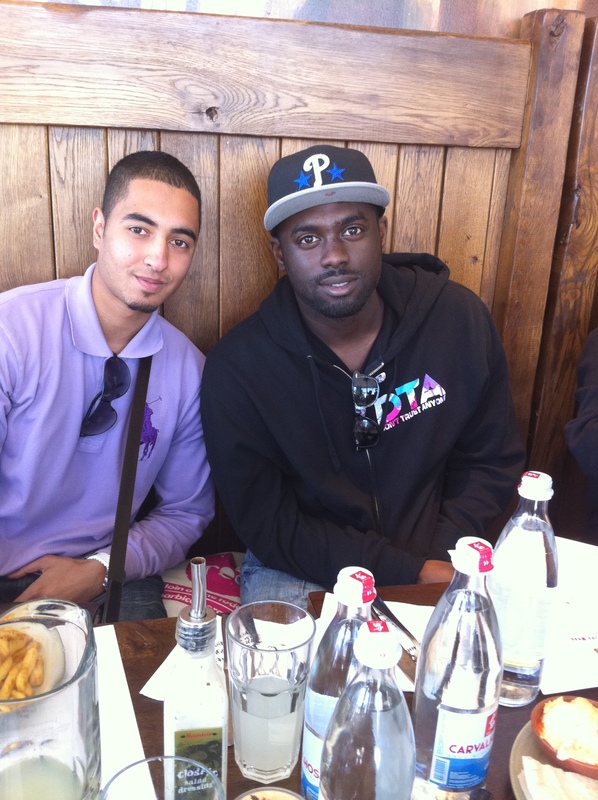 I had an interesting talk with P Money today in Nandos, Lewisham. Ay, how did Omar get talking to P Money in Nandos-you’ll be asking? I was one of the winners of a competition held by Live Magazine. The criteria to enter was: ‘Tell us something interesting you’ve done recently’; so I told them about my blog. They happened to quite like it and selected me as one of the five winners. I went to the lunch not really knowing what P (Paris) Money was going to be like. There is no doubt that he is extremely talented in what he does, but I wasn’t sure if I would like somebody who raps about violence and ‘his anaconda’. I was pleasantly surprised to find that P was soft spoken, humble and lacked pretentiousness. We then talk about the grime scene. “Grime is just as good as it use to be, it just doesn’t have the same support. It’s because people who were around back in the day have grown up and have matured now.” P then goes on to complain about how radio stations feel reluctant to play grime, and feel more safe playing commercial music- even though the lyrics are often worse and more negative. Before meeting him I had a lot of respect for his MC’ing ability, but now I have respect for him as a person. He seems to be grounded and despite the sudden popularity and success in his life, he is probably the same person as he was before. Salute. Im doing a speech on this topic and find it very intersting. Unebleaivble how well-written and informative this was. Thank you very much Andrea & Amy. It was a pleasure to meet you today and learn about your inspirational blog. We hope you will be back at Nando’s soon. Great story about P Money, I think he is a great down to earth guy. Really glad you enjoyed winning our competition Nando’s Hot Heroes – hopefully we’ll see you again soon!